NaturOli Soap Nuts / Soap Berries. 1-Lb USDA ORGANIC + 18X BONUS! Select Seedless. Wash Bag, Tote Bag, 8-pg info. Organic Laundry Soap / Natural Cleaner. Processed in USA! Product prices and availability are accurate as of 2019-04-13 04:53:08 EDT and are subject to change. Any price and availability information displayed on http://www.amazon.com/ at the time of purchase will apply to the purchase of this product. + 18X BONUS! 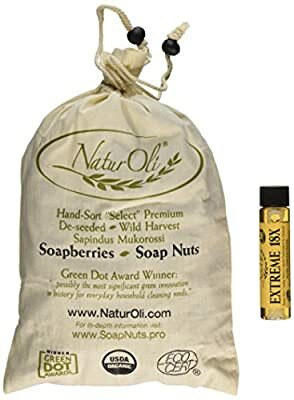 ($5.90 value) - ALSO INCLUDES: ONE (1) large 3-1/4 x 4 3/4 Wash Bag Instructions/ Informational Pamphlet Genuine USDA CERTIFIED ORGANIC soap nuts / soap berries. - #1 brand in America! - Award winning, premium 'Select' de-seeded. - Fresh, saponin-rich, wild-harvested, sun-dried Sapindus Mukorossi fruit from pristine Himalayas of India and Nepal - NaturOli is an authorized Processor for the USDA National Organic Program (USDA NOP) - the ONLY official U.S. Organic Certification agency. Certified by QAI.- Processed in the USA! ---- PACKAGED IN HEAVY-DUTY, REUSABLE MUSLIN / COTTON DRAWSTRING TOTE / STORAGE BAG. NOT A CHINESE IMPORT!! - China-grown berries are NOT compliant with USDA's Agricultural Organic Safety Standards & Regulations - regardless of claims. - Only USDA Certification assures of NO agricultural pesticides, industrial pollutants, commercial fertilizers, hazardous toxins, & chemical contamination common to Chinese exports - especially farm & agricultural goods. ---- U.S. lab tested safe from biological contagions. Stored in our climate-controlled, USDA inspected warehouses for ideal moisture content - never too wet or dry. Not mushy or slimy. Light natural vinegary scent. NO petroleum or chemical odors. 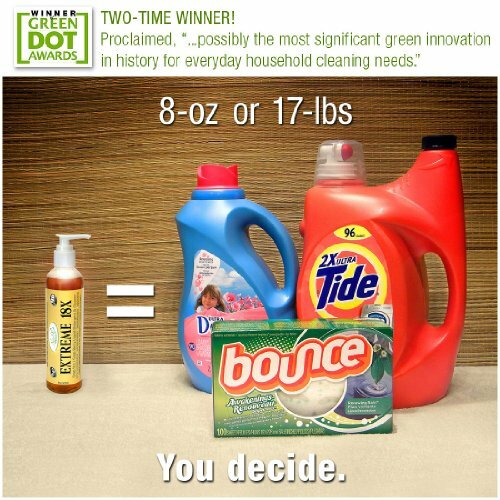 A true organic laundry soap, natural detergent & all-purpose, green household cleaner. Hypoallergenic & fragrance free. Ideal for sensitive skin & noses. Leaves laundry clean, soft & fresh. Superb for delicates, silks, wools, & organic fabrics. Excellent for cloth diapers. Odor removing. - Gentle, healthy & nourishing for both skin & hair, too. - A perfect biodegradable camper's soap (lightweight & convenient) with natural insect repellent properties. Great pet soap - naturally wards off fleas & ticks! 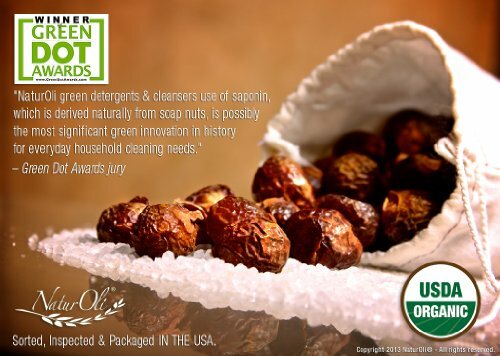 --- Learn more at SoapNuts.Pro, the world's foremost online educational & instructional resource.